Today only at Woot.com select Pelican Tumblers and Coolers start at $14.99 (Reg. $19.99+)! 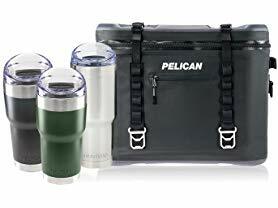 Check out this Pelican Elite Soft Cooler in multiple can size options starting $179.99!